This 2016 Volkswagen Jetta Sedan 1.8T Sport stock # VGM396457 has a ideal red exterior and a sought after synthetic leather interior. Factory equipped with an impressive 4cyl, 1.8l, 170.0hp engine and transmission: 6-speed automatic w/tiptronic transmission, the 2016 Volkswagen Jetta Sedan 1.8T Sport produces an impressive 25.0 city MPG / 36.0 HWY MPG. A few of the Jetta Sedan 1.8T Sport's valuable features include: a rear spoiler, a Sport suspension, lowered with sport front and rear stabilizer bars as well as a set of 17" Joda Black alloy wheels. Desirable installed features include: Heated Mirrors, Synthetic Leather, Keyless Start, Fog Lights, Electronic Stability Control, Heated Seats, Steering Wheel Audio Controls, an Auxiliary Audio Input, Power Windows, a Turbocharged Engine, an Onboard Hands-Free Communications System, Satellite Radio, Aluminum Wheels, a Navigation System, and Keyless Entry. In addition to this Volkswagen Jetta Sedan 1.8T Sport We have 34 other Jetta Sedan's like this in stock at Village Volkswagen of Chattanooga located at 6001 International Drive Chattanooga, TN! 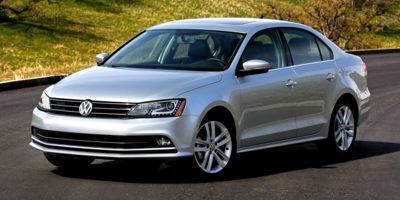 This 2016 Volkswagen Jetta Sedan 1.8T Sport also comes factory equipped with: a Wireless Cell Phone Hookup, Daytime Running Lights, Brake Assist, Power Locks, a Leather Wrapped Steering Wheel, Traction Control, Steering Wheel Controls, Power Mirrors, Front Wheel Drive, and a Spare Tire (Full Size).